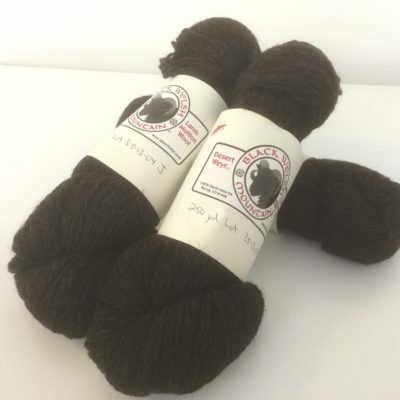 A thick bulky 2 ply hand spun yarn with lots of character. Some thick some thin, ideal for weaving rugs or wall hangings where the dark black and extra bulky yarn is a plus. $7.79/oz. 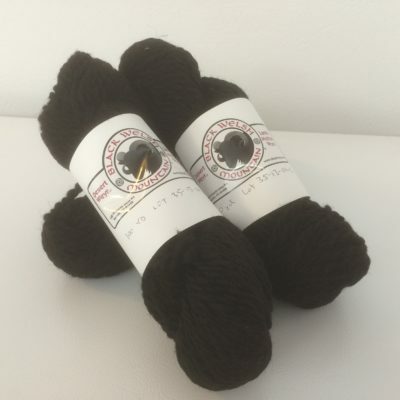 Skeins are variable in size, we will come as close as possible to your desired ounces and will adjust the price as needed. Approximately 5 wpi.